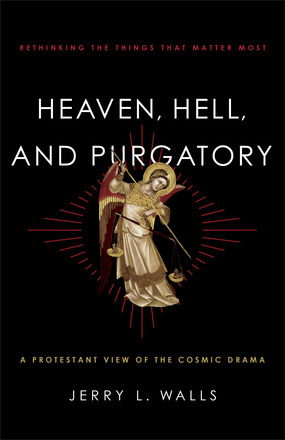 This excellent text by Jerry L. Walls, professor of philosophy and scholar in residence at Houston Baptist University, is a more popular-level treatment of his trilogy on hell, purgatory and heaven, which emerged from his PhD dissertation at Notre Dame (p. 16). His basic argument can be summed up as follows: Heaven is necessary in order for life to have real meaning. Hell is necessary in order for there to truly be libertarian free will. Finally, purgatory is a logical possibility and even likelihood that flows from an optimal view of God’s goodness and mercy. Surely, most evangelicals will heartily affirm the first two of these propositions, but at the very least, raise an eyebrow at the last. So, the crucial question is, does Walls make a solid case for purgatory, one that can or even should be accepted by evangelicals? In what follows, I will briefly argue, first, that Walls has made an intriguing case for a recovered doctrine of purgatory that is compatible with orthodox doctrines of God and eschatology. Second, I will argue that Walls has in this book presented an interesting enough case that many readers (myself included) will be inclined to study these matters further. That said, though, let me clarify one point. I have here described Walls’s argument as “an intriguing case,” and “interesting enough.” However, these, for me, do not add up to entirely convincing. To say something is compatible with orthodoxy doesn’t mean that it is orthodox. For me, the jury is still out, and here’s why. Walls’ discussion of purgatory centers around a couple of interrelated ideas. First, he argues that the concept of purgatory fits well with the Christian doctrine of sanctification (ch. 4). Specifically, he argues that most protestants believe that since perfection is a necessary condition for entering God’s presence, God will perfect humans instantly upon death. Walls though prefers a sanctification model of purgatory (versus a satisfaction model; p. 98). To make his case, he leans heavily (perhaps too heavily), on C. S. Lewis, who rejected the idea of imputed righteousness and understood purgatory as a necessary period of purification in preparation for entering the presence of God (p. 110). It is “the transformation of our character” as we open ourselves to divine love. The general idea here is that love demands contrition and a genuine desire to love God more fully, and this can only be realized if one consciously and willingly moves and allows themselves to be moved by God in that direction. On this view, the process of sanctification is as vital after death as it is before. The reason that I am intrigued but not quite convinced is two-fold. First, I think there needs to be more interaction with the biblical text on this issue. Though, I think Walls is correct to note that the Bible does not rule out the possibility of purgatory understood in this way, there does seem to a good bit of speculation at work. For example, when the word “perhaps” is repeated five times in one paragraph (p. 115-116), I’m inclined to think that we are on tenuous ground. Granted this paragraph is not the heart of Walls’ argument, but it well sums up the essence of it. Second, the talk of “process” to me raises the question of whether time itself and the concepts of both instantaneity and process can even be made sense of in any real way, when we are talking about the things that transpire after death. In other words, I wonder if Walls is not looking at non-temporality through a temporal lens and thereby drawing false conclusions. I don’t know that he is, and I would be the first to admit that the philosophy of time is a bit outside of my wheelhouse. But all of this is simply to say that the text has raised a number of questions for me both exegetically and philosophically that are not answered. Perhaps they are (I hope!) in his trilogy. Beyond this provocative and thoughtful discussion of purgatory, though, Walls raises another issue that is worthy of at least consideration. Specifically, he argues that salvation might be possible even after death. Essentially, Walls puts forth the idea that if purgatory as he has described it exists, then it seems logical and consistent to assume that God could allow for some to repent and be saved, even after death. He again here turns to C. S. Lewis and Dorothy Sayers. He makes use, as he often does in this text, of Lewis’s claim that the door to hell is locked from the inside. That is, those who will spend eternity in hell are those who refuse at every opportunity to turn toward God. They are in hell not because they have been forced to be there, but because they have chosen to be there. Central here is the idea that God will afford each person a genuine opportunity to fully understand and respond to the Gospel. But perhaps some, during their lifetime are too emotionally handicapped, for example, to have been able to respond to God’s grace. Does it not seem logical, asks Walls, that God might give them an opportunity after death? Essentially, this argument for Walls is built on the belief that God will afford every person “optimal grace,” and that we only have to look around us to realize that some have not experienced optimal grace during their earthly life. As someone who has lost a family member whose eternal destiny was uncertain at the time of his death, I find myself hoping that Walls is right on this. But, again, I’m not fully convinced because his argument seems to presume that C. S. Lewis, on whom Walls depends heavily, is correct, without much critical assessment of his theological assumptions. For instance, some have accused Lewis of having a more platonic view of the afterlife than a biblical view and Walls simply does not address this. Again, I would hope that these issues are addressed in his more scholarly tomes, but some minimal discussion of these issues here would have been helpful. Plus, if he hopes to convince evangelicals, Walls will need to build his case on the positive statements in Scripture about the afterlife, and not on what is ambiguous. To conclude, any book that encourages evangelicals to dig a little deeper is one that must be counted a roaring success. And this book does that on multiple levels. I suspect in the near future I will purchase his trilogy for that purpose. On the whole, I heartily recommend this text for those wanting to explore these issues. For professors of theology, this text makes an excellent catalyst for generating lively conversations among students. It is well-written (Walls’s description of hell is worth the price of the book! ; see p. 89), engaging, and even if one disagrees with Walls’s conclusions, his ideas are well worth considering and sure to stir things up.